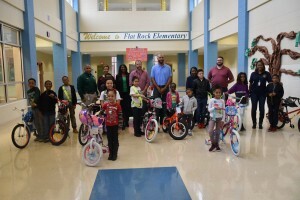 Flat Rock Elementary partners with Hanson Aggregate Southeast to donate bikes for Lexile Leapers Literacy Campaign. Flat Rock Elementary School partnered with Hanson Aggregate Southeast on December 1 to celebrate the donation of 12 bikes as part of the school’s Lexile Leapers Literacy Campaign. 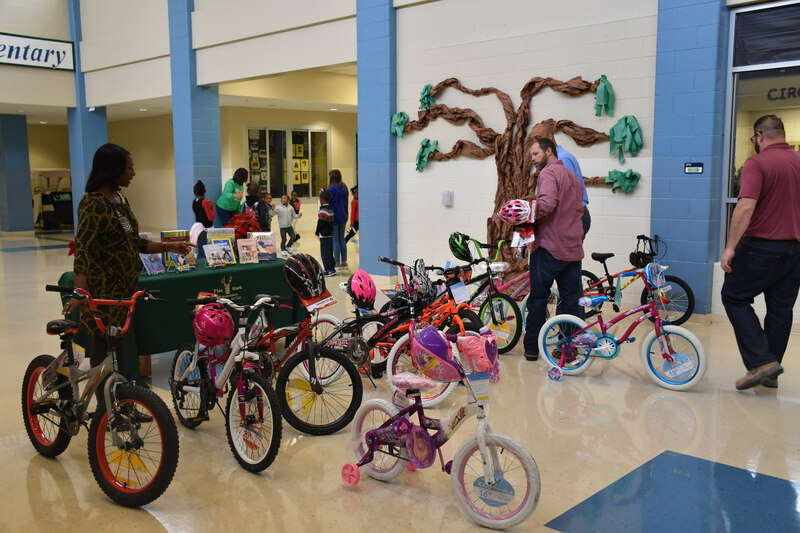 A dozen lucky Flat Rock students will have the opportunity to take a bicycle home by participating in the Lexile Leapers campaign, which tracks how often students read. 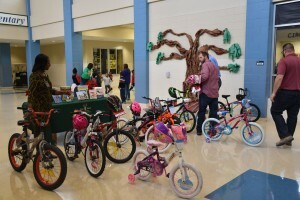 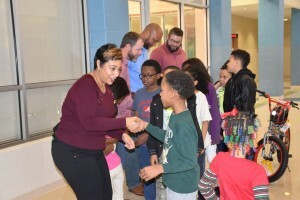 Students previewed the donated bikes, which vary in size and color and were displayed in the school’s front office, as an encouragement to read. 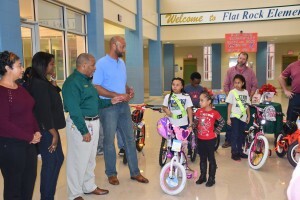 The bicycles vary in size and color as to encourage students at all grade levels. 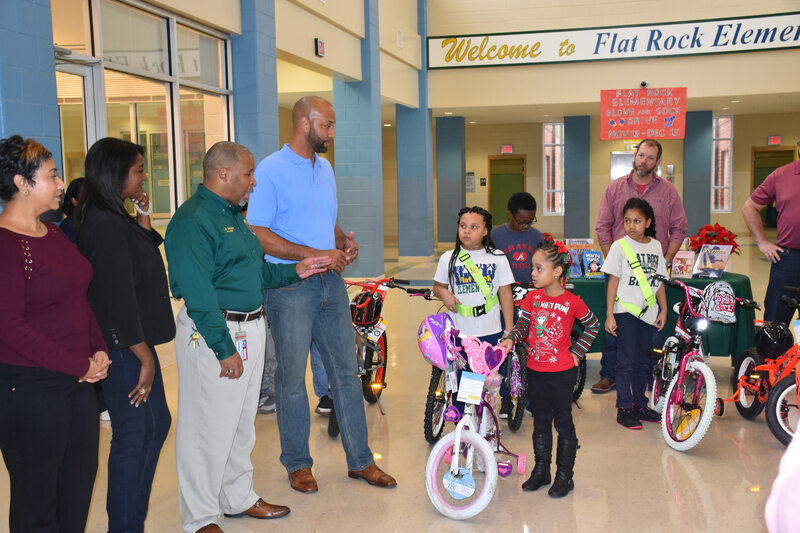 Principal Malik Douglas said the campaign and donation aligns with Flat Rock’s core practices of guided reading and effective literacy practices.